Built on best practices and decades of research, Workitect offers the most powerful competency framework available today. Learn how to develop and implement models within your organization to align your business strategy with your talent strategy. 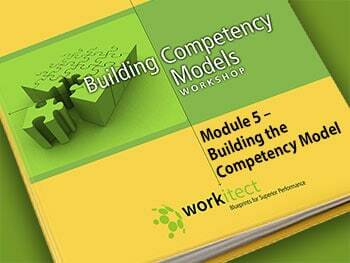 This Workshop Gives Participants A Six-Step Process To Developing Their Own Competency Models Without External Assistance. Business need and need of the sponsor. Developing an approach – single job model, one-size-fits-all, or multiple jobs. Gaining the sponsors support. Stakeholder analysis. Structure of the project plan. Complete project planning worksheet on own project. (Revisit and update after Module 5, review and receive feedback and advice from consultant instructor). Data collection tasks. 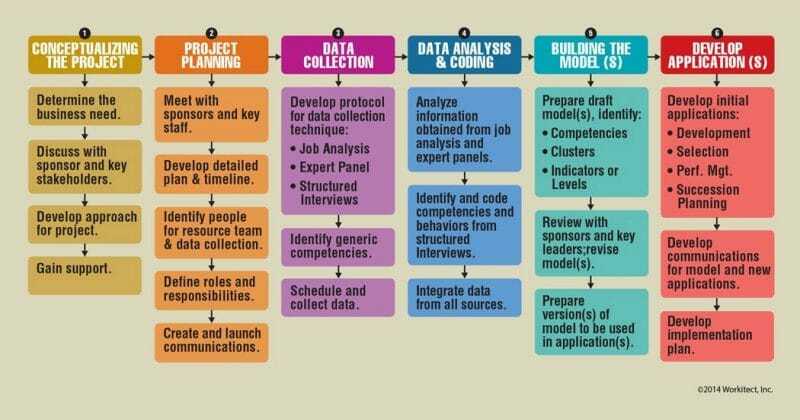 Primary data collection methods – job analysis, key event interviews, resource panel. Secondary data collection methods. Complete data gathering exercises. Analyzing data from job analysis and structured event interviews. Integrating data from all sources. Target data exercise. Coding exercise. Analyzing data from resource panels. Select a set of competencies. Using a generic competency dictionary. Create behavioral indicators. Identify clusters. Prepare draft of model. Review with sponsors. Talent Management. Training and Development. Assessment and Selection. Performance Management. Succession Planning. Other – Compensation, Culture Change. Each participant has an opportunity to review his/her back home project plan, implementation plan, challenges, issues, etc. 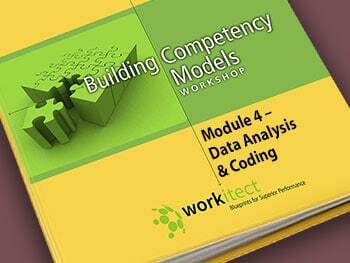 and receive consulting help from a Workitect consultant/instructor during or after the workshop. Senior Consultant with thirty years of experience in management and executive development, training, human resources, and organization development. Formerly, held senior leadership positions with Ryder System, Inc. (Group Director-Organization Effectiveness and Human Resource Development), Pabst Brewing Company and Ryan Homes, Inc. Has extensive experience in developing competency based performance management, selection, assessment and management development processes. Is the lead instructor for Workitect’s Building Competency Models workshop. Master’s Degree in Management from the University of Southern California and Bachelor’s Degree in Finance from Western Michigan University. Senior Consultant with expertise in competency based job analysis, skills assessment, management development, selection, survey design and course development. Formerly was Director of Research for McBer & Company / Hay Group, Vice President of The Altwell Group, and Chairperson, Educational Psychology for Temple University. Ed.D degree in Human Development and A.B. degree in Social Relations from Harvard University. Co-authored the book “The Psychology of Creativity and Discovery” and has published numerous articles.